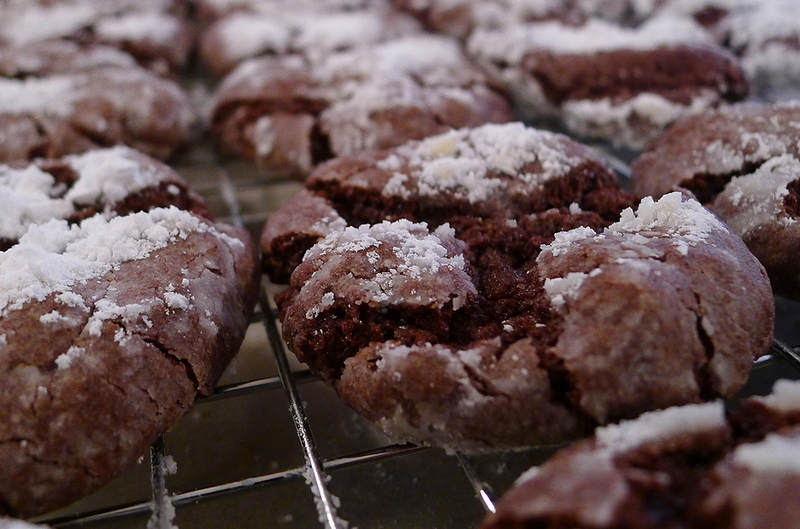 Chocolate Crackle Cookies are the most amazing cookies on earth. We just discovered them this weekend, and they are wonderful. They are super easy and fun to make too! 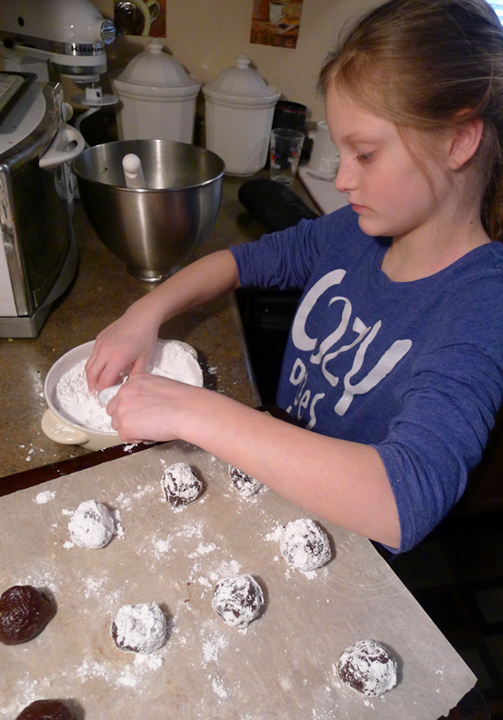 Our niece was visiting us this weekend and was a huge help making these cookies. I told Kelly that the more sugar she used, the better the cookies would be. So she buried them! I think she had a good time getting all messy. This was a perfect project for a kid. She had fun and did a fantastic job too! Just look at all the sugary goodness! 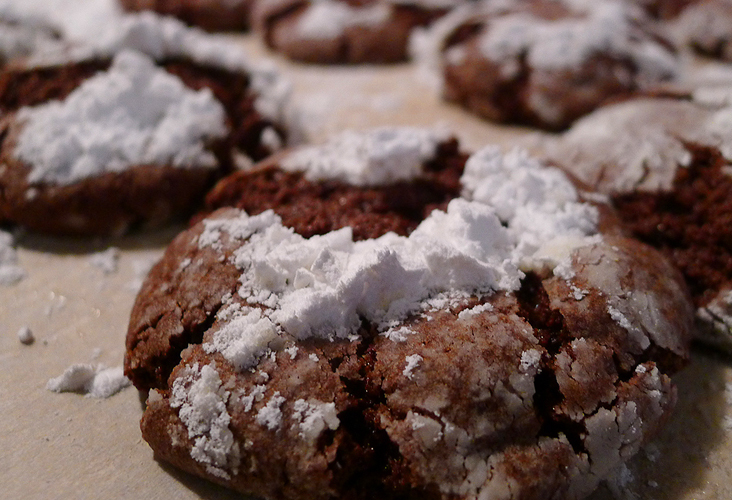 The cookies really do need a good coating of powdered sugar, so don’t be shy. 1. Pre-heat oven to 350° F.
2. Mix the first three ingredients together. 3. 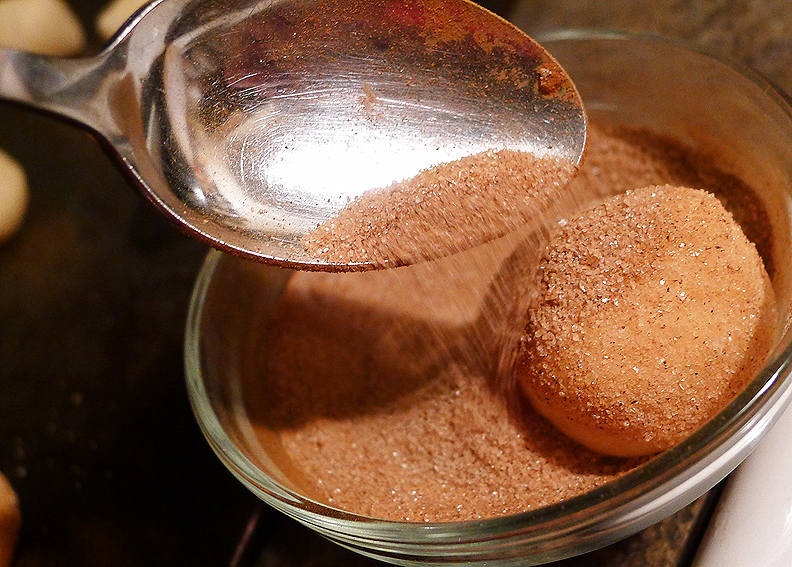 Create tablespoon sized balls and roll in the powdered sugar. Make sure that you generously coat each cookie. I mean generously. 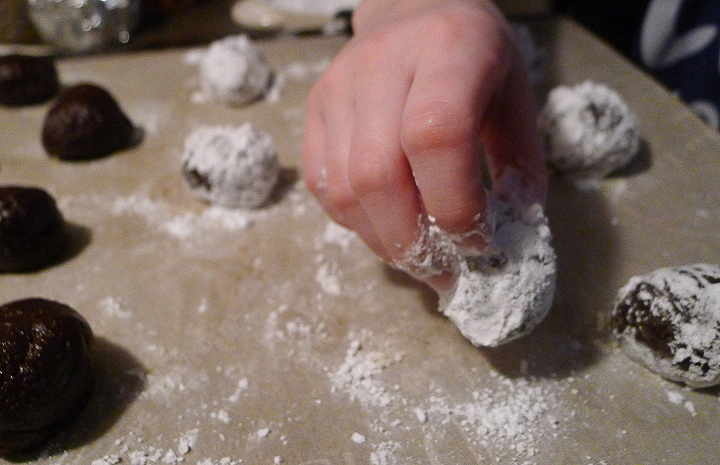 Use A LOT of powdered sugar. (See photos above.) If you don’t, the cookies will just be plain old chocolate cookies. And you don’t want that! 4. Place on cookie sheet 2 inches apart. 5. Bake for 8-10 minutes. 8 minutes if you want them under baked or 10 minutes if you want them more like cake. Enjoy your cookies with a nice cup of coffee. Or hot cocoa or milk. Or whatever you like! You can substitute the chocolate cake mix for other types of cake mix for different flavors and colors. Around Christmas time, you could use a white cake mix mixed with red or green food coloring. 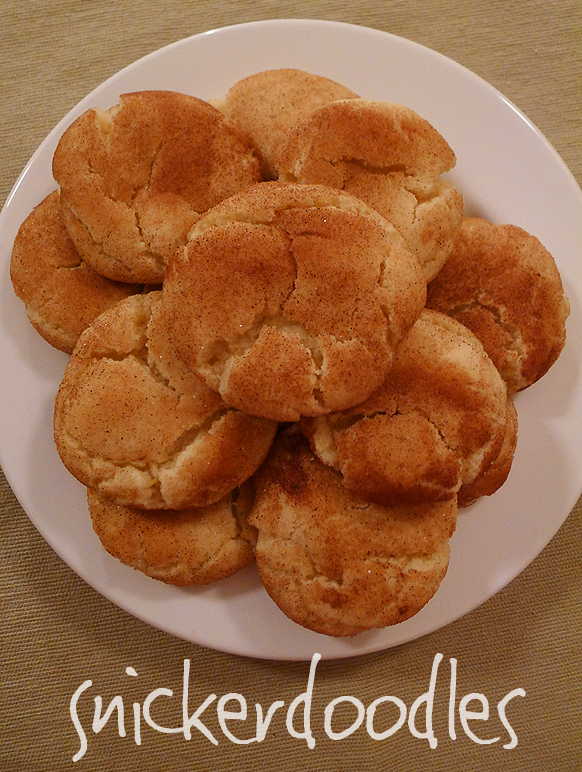 Or maybe you could even try a nice spice cake flavored cookie in the fall. I would bet there are no bad combinations with this recipe! This entry was posted in cookies, dessert, recipe and tagged chocolate, cookies, crackle, dessert, recipe. 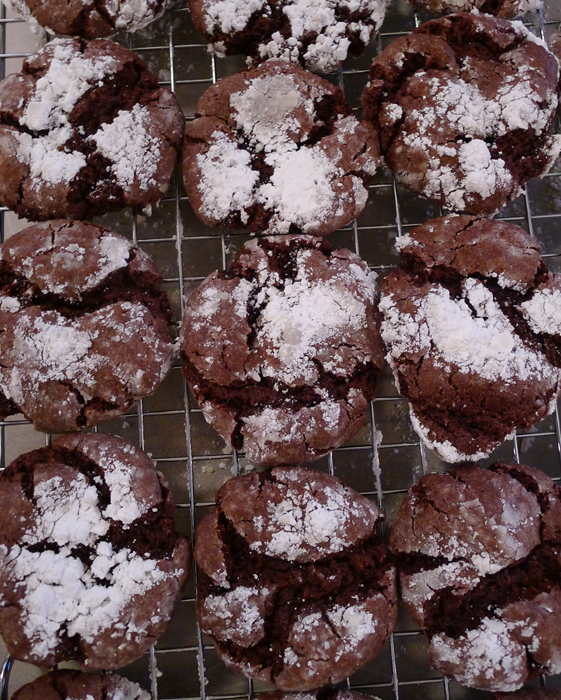 These cookies are a request of a blog reader and friend, Rebecca. I’m always looking for ideas for recipes and things to make. I will try anything! I love oatmeal cookies and chocolate chip cookies. The combination of both together is fantastic. Then again, I’m pretty sure anything combined with chocolate is fantastic! 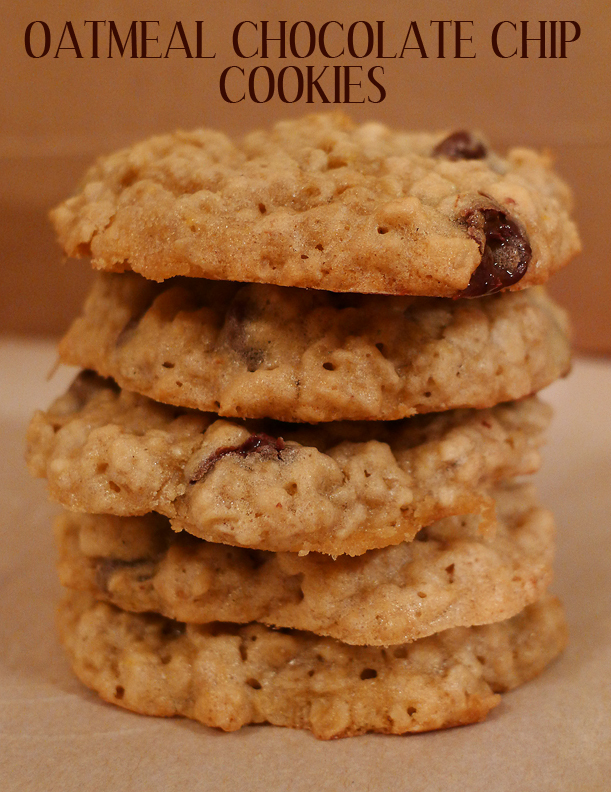 I found a ton of recipes for Oatmeal Chocolate Chip cookies. I might try a few of the other varieties sometime. A common recipe I found had vanilla pudding. Which I didn’t have on hand, so I couldn’t try that one. But it peaked my curiosity, so I might just have to try it soon. 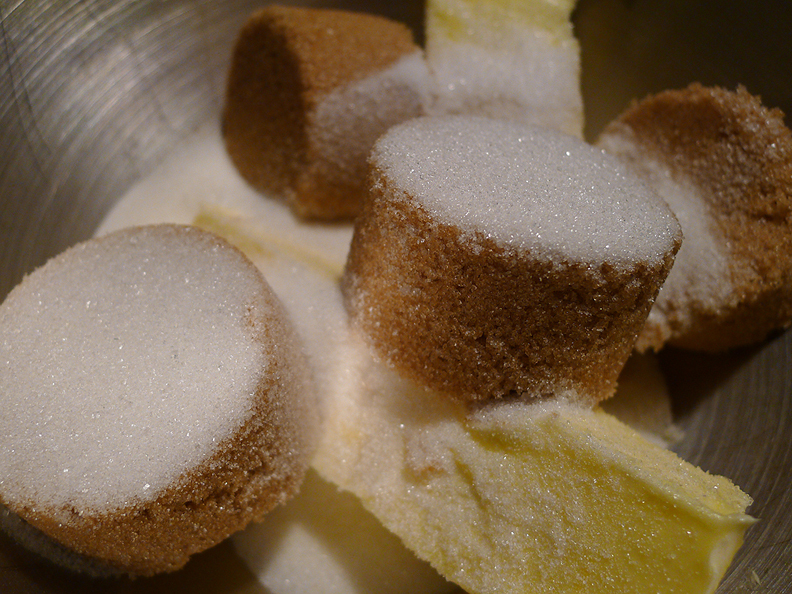 In the meantime, here’s the recipe I used for these delicious little bits of sweetness. 2. 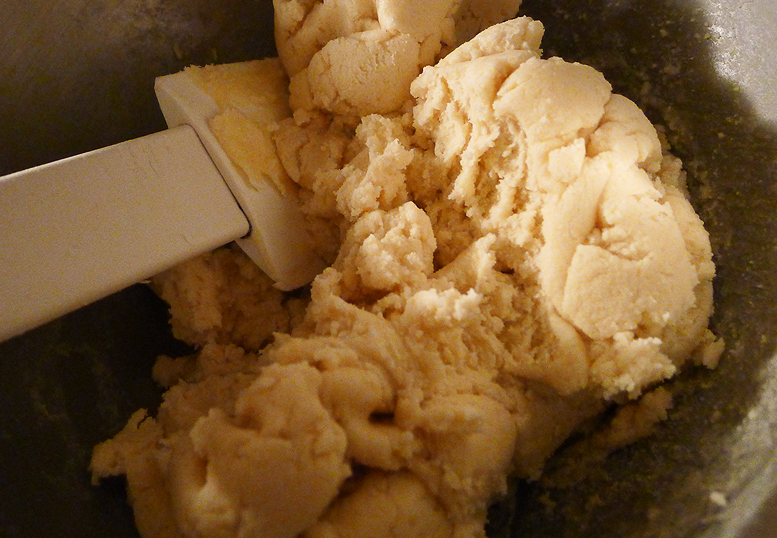 In a large bowl, mix the butter, brown sugar, and white sugar together until smooth. Beat the eggs, then the vanilla. 3. 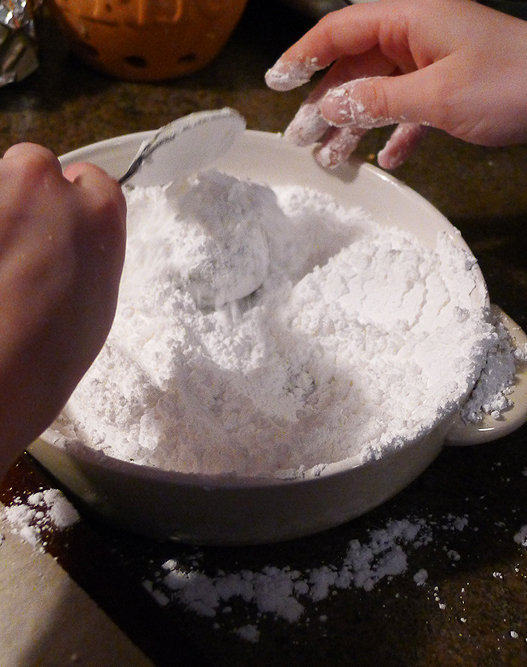 Combine the flour, baking soda, and salt; stir into the creamed mixture until just blended. 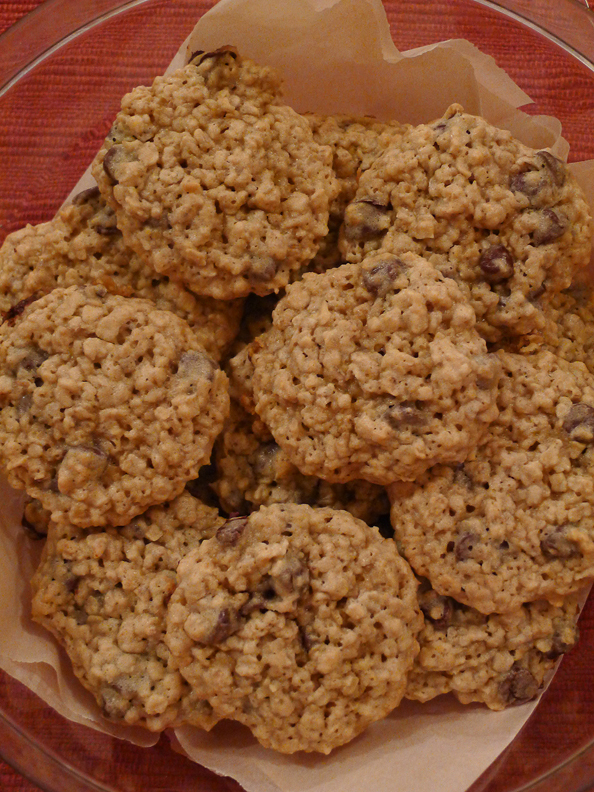 Mix in the quick oats and chocolate chips. Drop by heaping spoonfuls on to baking sheets covered with parchment paper. 4. Bake for 12-15 minutes in the oven. Allow cookies to cool on baking sheet for 5 minutes before transferring to a wire rack to cool completely. I’d like to welcome all of my new followers from the “Grow Your Blog” party yesterday! That was such a neat experience. I’m looking forward to getting to know each of you through your blogs and hope you enjoy visiting my blog as well. This entry was posted in baking, cookies, dessert, recipe and tagged baking, chocolate chip, cookies, dessert, oatmeal, recipe. 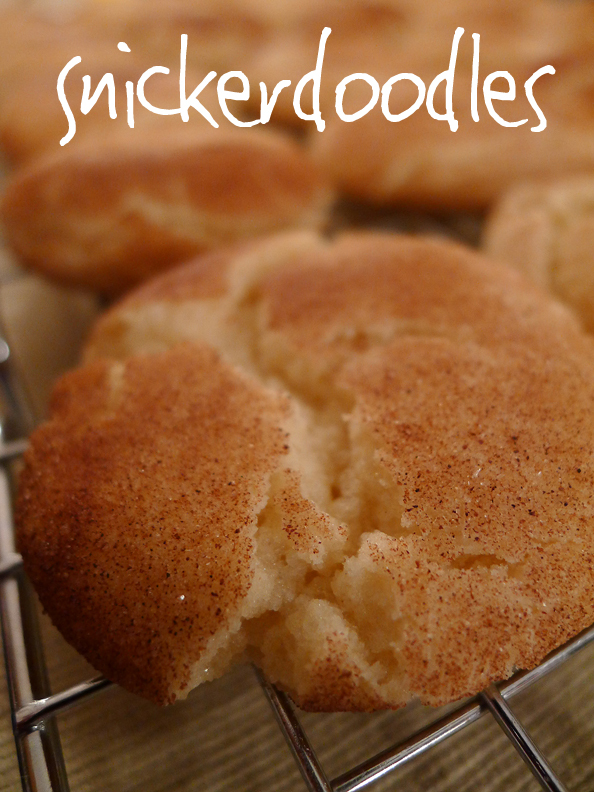 Snickerdoodles are my all-time favorite cookie. I was brought up with a love for cooking and baking, and used to make these cookies when I was a young girl. 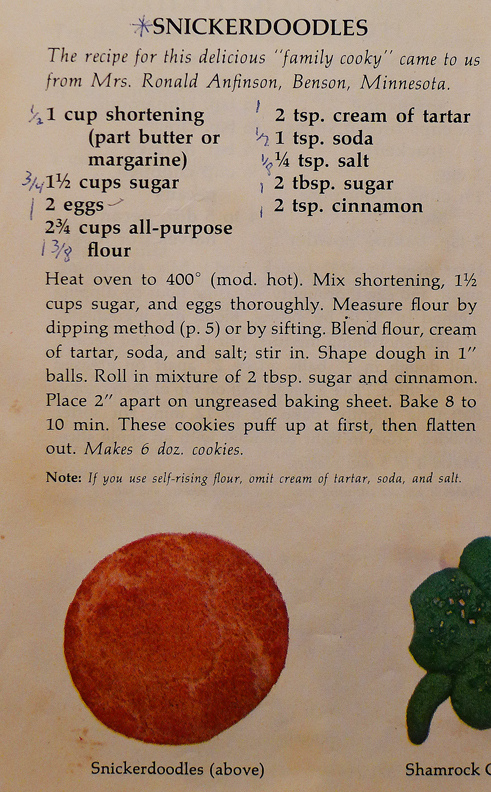 I would use my mom’s Betty Crocker Cookie Book from the 1960s. Here are the magical ingredients for my favorite cookies. Enjoy! 1. Heat oven to 400º F.
This entry was posted in baking, cookies, recipe and tagged baking, cookies, recipe, snickerdoodles.